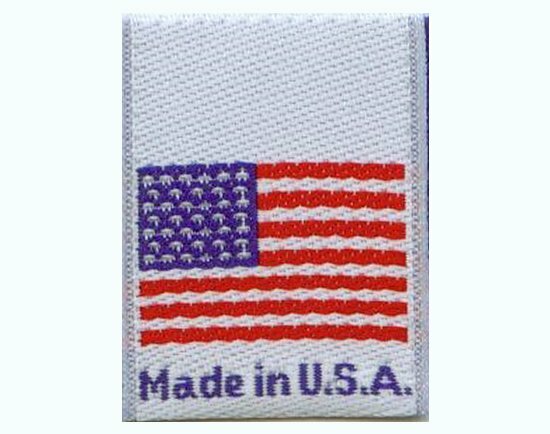 Custom woven stock Made in USA Origin labels. Can be used for clothing and any accessories. Labels are made of a damask(premium) weave and are centerfolded for top stitching. Item comes folded and packaged.